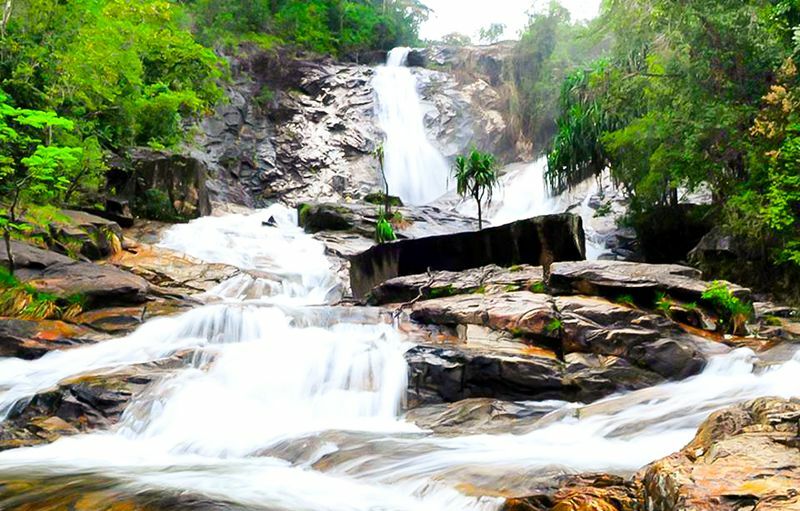 HomeHat YaiSee the Nature of Hat Yai: Ton Nga Chang Waterfall & Loads More! Join me, and you'll have a fun, adventurous trip! Let's walk in the jungle, climb up short distances of the mountain and enjoy the waterfall! To top it off, we'll have a buffet dinner on the rooftop with the Hat Yai city view! We arrive at Ton-Nga-Chang waterfall (admission fee included) Let's enjoy the trip by walking in the jungle, climbing up the mountain and swimming in the waterfall! Time to depart from Ton-Nga-Chang waterfall! We arrive at your accommodation or my home to change your clothes! You can skip this if you can change clothes at Ton-Nga-Chang waterfall! Time to depart from our dinner place (Flexible time). Arrive your accommodation, and this is when the trip ends! Thank you for joining me! You will get a convenient transportation by car and enjoy trip. This waterfall is a famous in this area. Local people like to go to take a rest here. You will get real nature. There are 7 levels of waterfall here (our trip limited at 3rd level).